The Jewel shear has been massively popular for over 10 years. It's know for its versatility in all around cutting and has a beautiful rainbow titanium coating. The rockwell hardness is measured at 59, so it will retain a great, crisp cutting edge. The ball bearing tension assembly ensures a smooth feel while cutting. 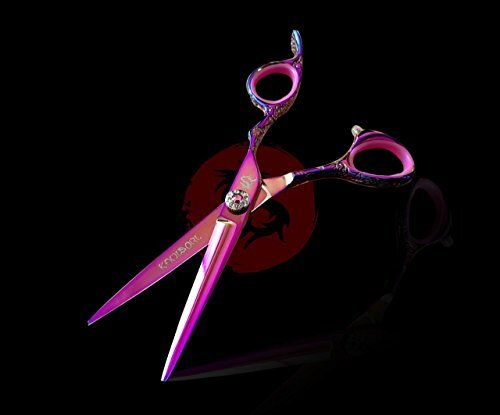 The Kamisori Jewel is a top of the line working shear for serious professional hair stylists.